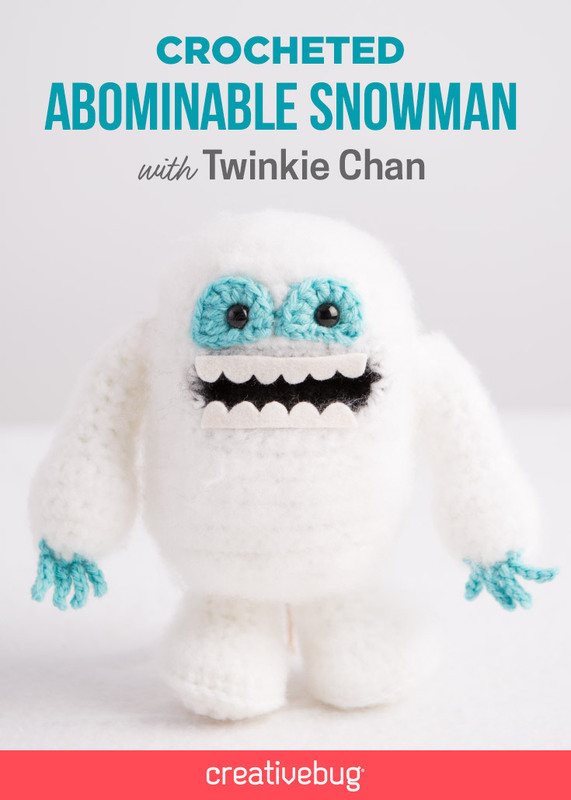 The creativity of bookish folk is magical. The imagination used to fall down rabbit holes, explore fantasy kingdoms, and pledge ourselves to our fae overlords boyfriends must switch on something sparkly in the brain. How else do people find enough wi-fi in those witchy attics, roof-top mirror worlds and spooky forests to set up Goblin Market Etsy shops? Does imagination come first, or does reading fiction turn us into dreamers, makers, conjurors? 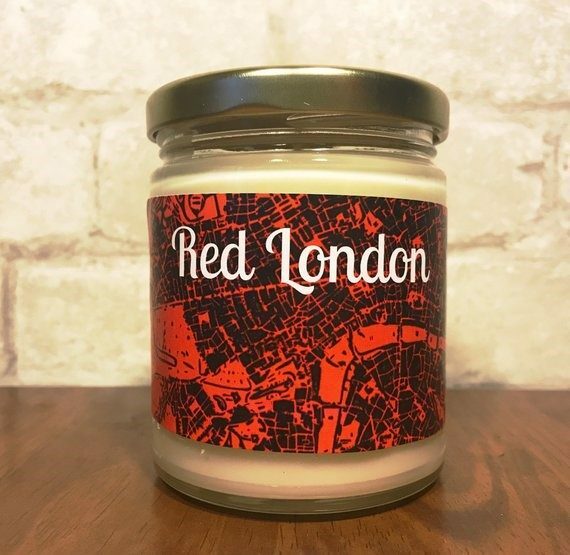 Let Lila do the swashbuckling while you live lying down, reading, burning this Red London candle to conjure Kell’s city instead. The Polished Parlour is a treasure-trove of bookish goodies, with this one smelling of lilac, firewood and mulled wine. They stock White and Grey London candles too, but why take the risk? 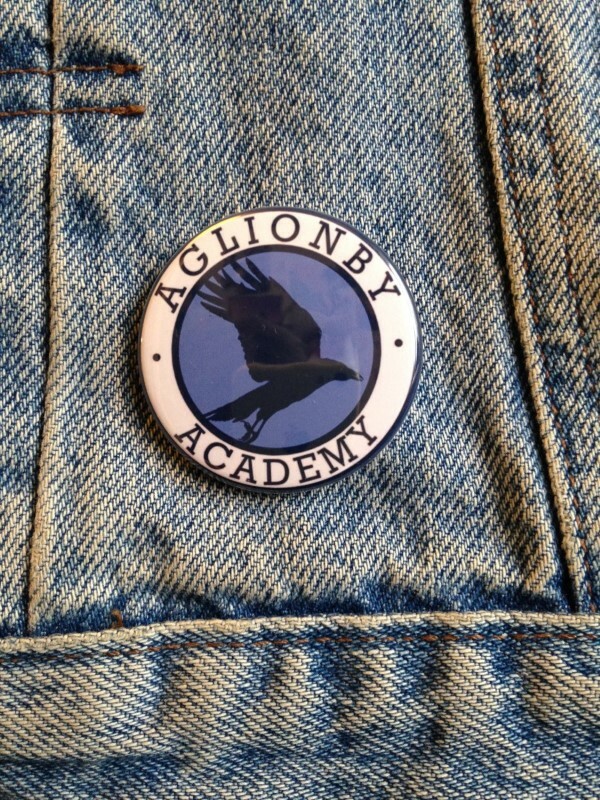 Drop in on the Raven Boys on your way back from London. It may seem far but there’s a lay-line for that, right? I’m mournful now. Being #TeamNoah has that effect. 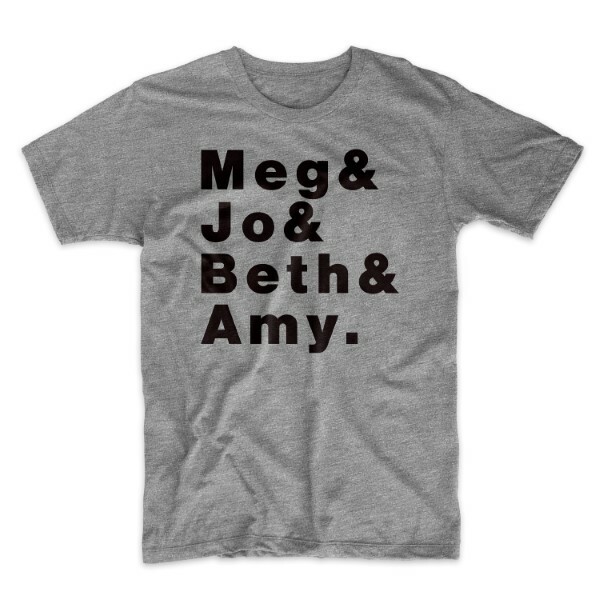 Time to indulge myself with some Little Women merchandise. I’m straying from the fantasy stable here, but Jo is definitely made of magic. Back to true fantasy with this beauty from Fandomly Selected. I love her, the hair is the exact cinnamon red I imagined while reading. Does not come with a handle at the back which you turn to eject one hundred moths, but you can’t have everything*. 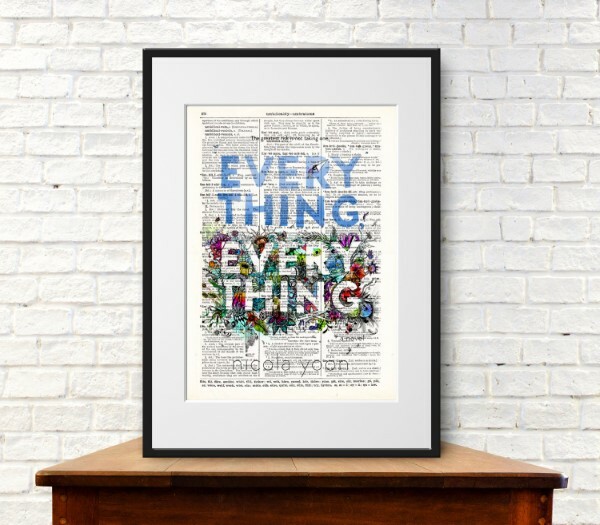 *You can, however, have this pretty-pretty Everything Everything print as a gift. How cool would this look in a bookish boudoir, or next to your bedroom window? 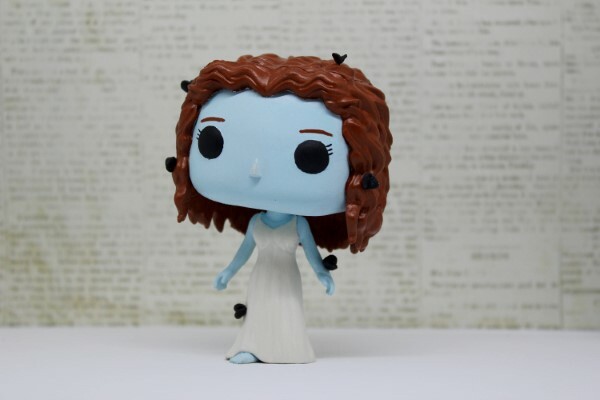 It’s made from antique paper, which is a tender touch that matches the spirit of the book. This is another one which makes me cry, so I’d have to frame it fast to catch my tears on the glass. Everything Everything Print from Book Cover Art. Time to stop crying & take action. March on the menfolk – no, away from the menfolk!- in this zinger of a red tee. Not the best colour to blend into the snow, granted, but you’re clever enough to overcome that. There’s an age where you’re supposed to stop believing in magic. Or, so some people think. The risk was never worth it. I’m now officially Grown Up and can report no ill-affects from continuing to believe that fairies could be lurking under hedges and that, given the right pair of wings, I might fly. 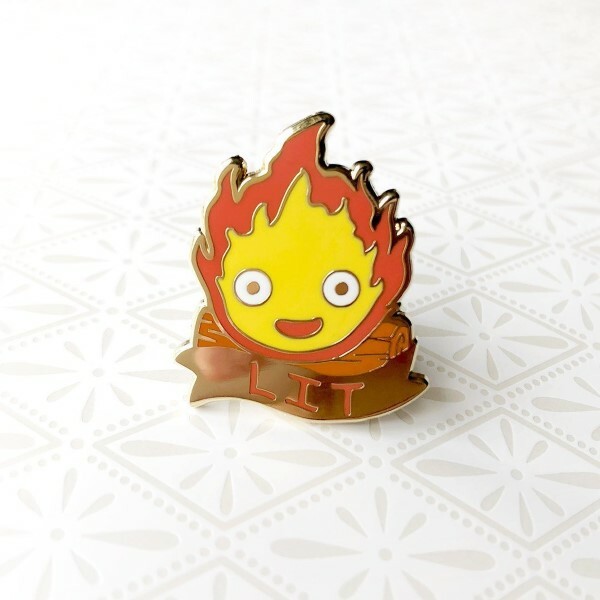 This Calcifer pin from Howl’s Moving Castle is the perfect small accessory to signal to others that you know about magic and other worlds, while blending in with the muggles. NayukiDraws has the cutest gang of Ghibli characters around, alongside other anime, video game artwork and keyrings. Cushions for book-lovers make the best gifts, because after a long afternoon’s reading they’ll need a good nap. 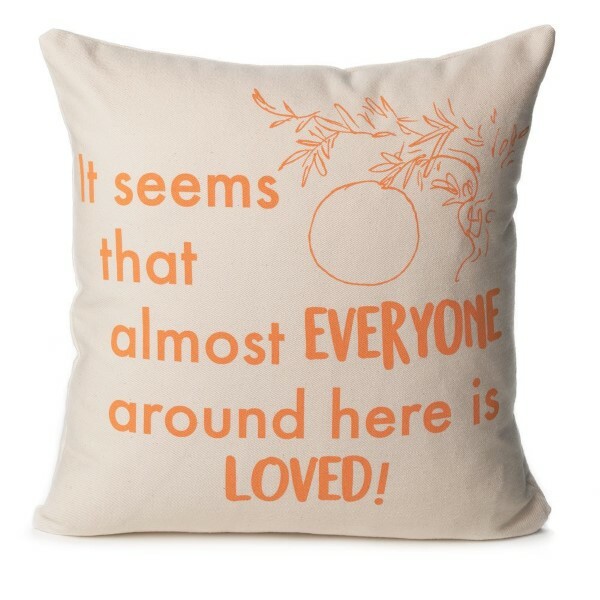 This Roald Dahl pillow is my favourite because it’s so cheery, but it’s a hard choice with so many in the Storiarts shop to choose from. The same seller stocks literary scarves, gloves and bags, ranging from Shakespeare to Strange The Dreamer, so I’m sure I’ll be back next time I need a gift for a book loving pal. Keep an eye on my bookish etsy treasure-trove list as I update it through the year – and let me know if you find new shops for me to add! 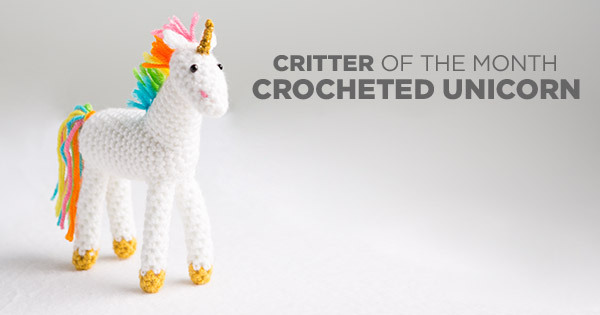 Why not check out my list of crafty geek presents next?